Next stop on our Taste Trails Rome cookery classes tour of Emilia Romagna, the Barilla pasta company. Parma is home to the Italian pasta giants, Barilla. 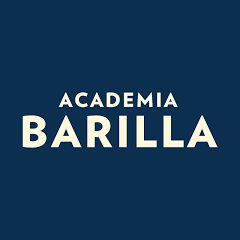 One of the world’s leading pasta makers and apart from their state of the art factory they also have the Academia Barilla. The family-run multinational opened the doors of the Academia in 2004 to chefs, industry affiliates, and food lovers alike in their mission to promote and protect Italian artisan food and culture. Barilla's team of Italian food experts research and select products worthy of the Academia Barilla stamp of approval as they actively seek out the best products that Italy has to offer. Barilla aim to improve productivity and increase the access of small-scale food companies to reach national and international markets and they can do this thanks to their experience and commercial distribution platforms. Barilla are big on respecting artisanal products, made according to tradition whilst at the same time promoting time and money to innovation. The day Taste Trails Rome Italian cookery classes spent there mixing with food enthusiasts , professionals from around the world , everybody exchanging ideas and contact details and fostering collaboration . After our tour of the Academia we had lunch in the wonderful Academia Gastronomic library , a library that houses more than 10,000 books , some dating back to the 16th century and it is open to professionals and the public as well. During the day at the Academia learned that Barilla despite the fact that is now a huge multi-national, it still remains a family business that retains a keen interest in helping and supporting artisan food producers , that it is keen to keep the traditions going , protecting the DOP products of Italy and is investing heavily in food innovation and education . 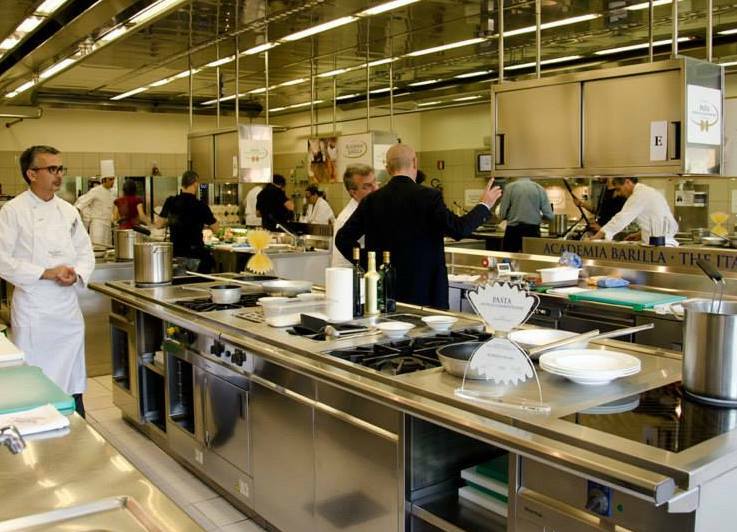 The Academia Barilla is well worth a visit for professionals and food enthusiasts alike . The Academia mixed all the other locations Emilia Romagna has to offer makes a fine contrast to the smaller artisan producers on our tour. With a Taste Trails Rome Italian cookery classes you will on a daily basis be tasting some of Italy's finest foods - fine Italian coffee is most definitely amongst them. Want to experience for yourself many more Italian artisan foods ? Well you can on our Italian cookery classes. We run the Italian cookery classes through out the year from March to November and for particular groups we can of course organise other dates/programs . A warm welcome awaits.